Emergency and disaster situations can happen at any time. Being prepared in advance is key to ensuring you, your family, co-workers, home, business, and property are protected. 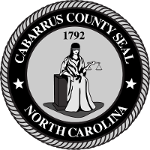 We encourage all citizens in Cabarrus County to BE READY! Obtain vital and important information to help guide you.